Microsoft today confirmed that the Windows Phone 7 will be out this holiday season and has also revealed some of the features of its new OS, the Windows Phone Live which is to directly compete with the iPhone OS 4.0 and the Android. Windows Phone Live will actually allow Windows phone 7 users to view their Windows Live calendar and contacts, exchange OneNote files, check published pictures and access other info shared between their smartphone and the Web. 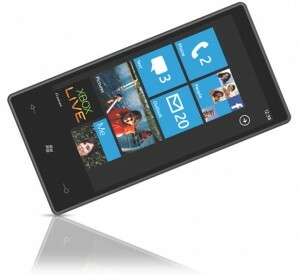 Microsoft also aims to launch the Windows Phone 7 in all countries around the world and the phone is to be represented as such by the end of 2010. Microsoft also said that at launch, the new platform will support five languages: English, Spanish, German, French and Italian. News on Windows Phone Marketplace, Microsoft said that this will be available in 17 countries: Austria, Australia, Belgium, Canada, France, Germany,Hong Kong, India, Italy, Ireland, Mexico, New Zealand, Spain, Switzerland, Singapore, United States and the UK. It won’t be surprising that once the phone and the OS are released, Apple and Google will quickly incorporate them into their OS. But lets just hope this one does not die a sudden death like the Microsoft Kin! Windows Phone App Marketplace Now has 45,000 apps while Apple Stays Ahead! Windows Phone now has 30,000 Apps! Previous Microsoft Outlook integrates with Facebook! Next Awesome Kinect bundle for $200 from Walmart!